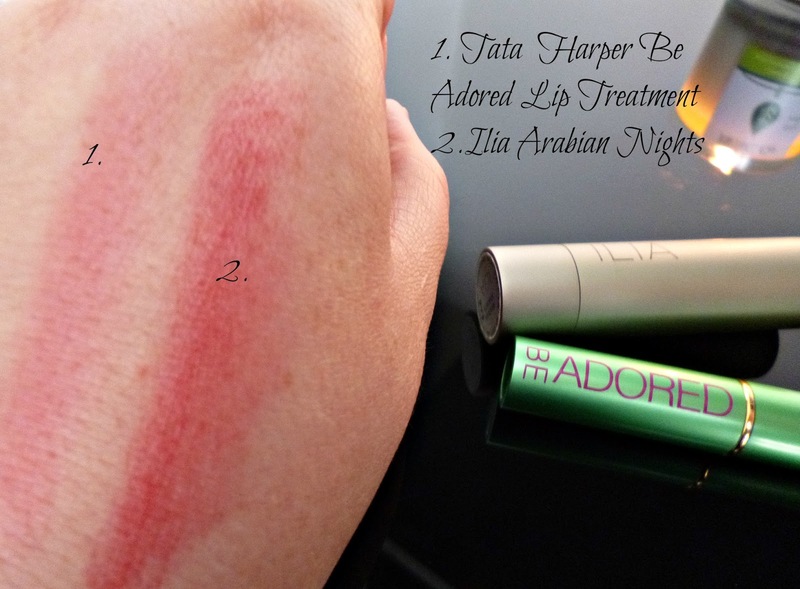 Never having owned anything from the super luxe natural brand Tata Harper before, when I went to Content in London I knew I wanted to buy something, on the day the one product that called my name was the Be Adored Lip Treatment balm, it’s a very luxurious tinted berry lip treatment, I previously had ordered a sample of this so I knew I liked it and well what can I say, that gorgeous green metal packaging makes my heart melt. Tata Harper isn’t just the name of the company but also the name of the founder, there is an elegance about Tata Harper that makes me drawn to her and her products but I have also been incredibly impressed with their green credentials. The brand is 100% natural and selects ingredients based on their compatibility with skin and health as well as manufacturing all their own products in their own Vermont laboratory, essentially from what I can see on the site they pay attention to every aspect of production which is always reassuring. I am not going to pretend that it wasn’t a moment of extreme weakness or madness to pay this price for what is essentially a tinted lip balm, having said that, do I regret it? 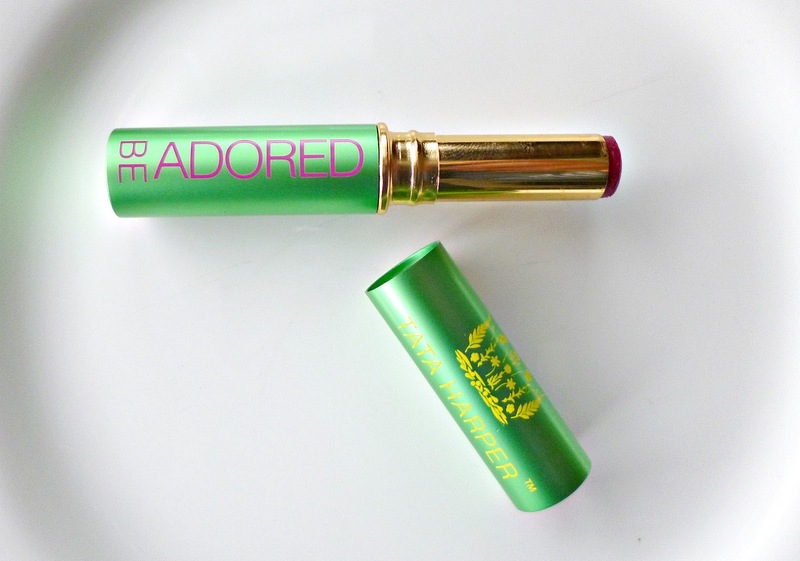 Not one bit, this feels so soft and luxurious on the lips, leaves them looking lovely and has top notch ingredients, the colour pay off is also surprisingly good for a product of this kind. If you own Ilia’s Arabian nights like I do then the two are similar and you probably don’t need both, choosing just one is a hard task, they both contain a good amount of nourishing organic oils and butters and are similar in price, Tata Harper does have the edge slightly on the ingredients use in terms of anti-ageing with date seed extract and Acai oil, Ilia is slightly more pigmented especially in the swatch but on the lip there isn’t much difference; both are equally lovely in my opinion. The Tata Harper packaging also deserves a mention, I just adore the bright green colour and the sleek metallic tube, not sure why but I also love the very satisfying “click” you get when you close it, crazy I know; but it’s the little things. 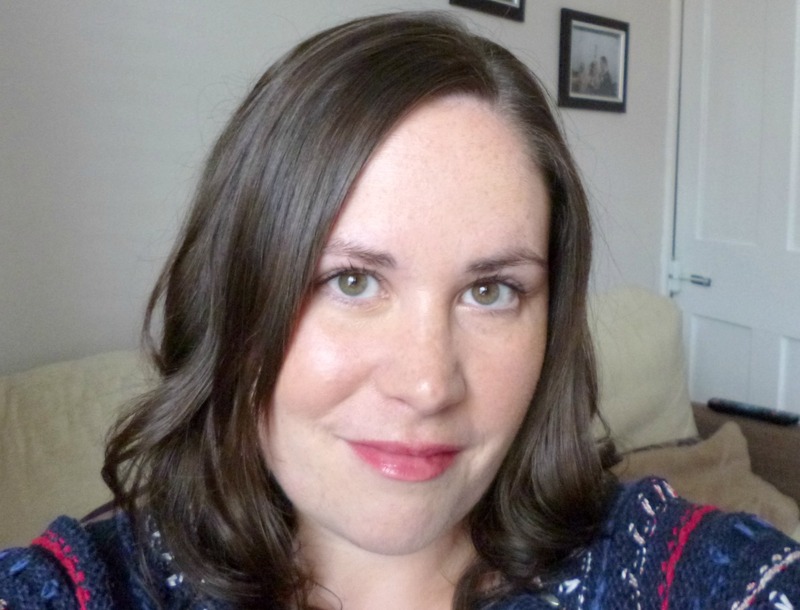 Tata Harper Be Adored shown on the lips, here I am wearing RMS uncover-up as a foundation a small amount of Green People mascara and Be Adored, the perfect low maintenance every day look for running errands or the school run, in fact I wear this most days! Post contains affiliate links, please see my full disclaimer for details.